Professor John Polesel is Director of the Centre for Vocational and Educational Policy and Associate Dean (International) in the Melbourne Graduate School of Education. John’s research interests include the relationship between schools and vocational training, models of education and training, VET in schools and youth transitions from upper secondary schooling in Australia and internationally. He has played a leading role in winning and conducting over seventy major educational research grants and consultancies, focusing on young people, education and VET, including the ACACA national longitudinal VET in Schools study tracking Year 12 students’ development of career and life skills across time (2018-2020), the Careers Guidance: defining and measuring quality project for NSW DEC (2014), the NSW BVET Destinations and Expectations Survey for the Office of BoS and NSW BVET (2013) and the Evaluation of the Senior Secondary School Pilots for DEECD Victoria (2012). He has written journal articles, book chapters and commissioned reports, including in some of the most prestigious international journals such as Oxford Review of Education, Comparative Education; British Journal of Sociology of Education; Journal of Education Policy; Australian Journal of Education and European Journal of Vocational Training; and chapters in major publishers, including Springer and Oxford University Press. 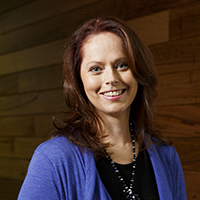 Associate Professor Shelley Gillis is the Deputy Director of the Centre for Vocational and Educational Policy and Assistant Dean (Graduate Research) in the Melbourne Graduate School of Education. Shelley has provided advice to national and international agencies on educational assessment and measurement, competency and performance assessment, standards referenced frameworks, qualification frameworks and quality assurance frameworks within educational settings. She has led numerous high profile national studies examining quality related issues in vocational education and training and has made major contributions to the development of evidence-based government policy in Australia. Associate Professor Gillis is currently working on or has recently completed research and consultancy projects with NSW Board of Vocational Education and Training, Board of Studies NSW, NSW Skills Board, NSW Business Council, NSW Department of Education and Communities, Victorian Department of Education and Training, NCVER and the Malaysian Ministry of Education. Dr Mary Leahy is Senior Lecturer and Program Coordinator (Graduate Coursework) in the Melbourne Graduate School of Education. Dr Mary Leahy is an experienced researcher with background in education and training policy. 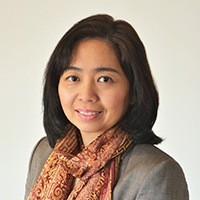 Her research focuses on access to education, training and employment, and includes the Vocational Education Reform Research Collaboration, NSW Department of Industry (2017-2019), the HESG Training Product Reform: Initial Research Input, DET Victoria (2016), the evaluation of the quality and appropriateness of career advice in NSW Government schools, NSW DEC (2015) and an exploration of key issues impacting on the success of school leavers’ transition to work or vocational education and training, NSW Business Chamber (2015). Specific interests include: vocational education; pathways; the interface between education sectors; transitions within education and between education and employment; gender; education policy; Nussbaum and Sen’s capabilities approach; and theories on choice, preference formation and decision making. 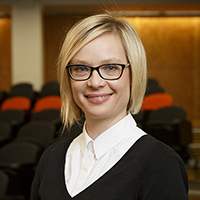 Dr Gosia Klatt is Senior Lecturer and Coordinator, Executive Education in the Melbourne Graduate School of Education. Gosia has a political science background but her current academic interest lie in the field of transitions from school and vocational education in Australia and Europe. Her research interests include education reforms in post-communist systems, youth transitions and inter-governmental relations. She has written two books, one co-authored book, and over 20 research articles, book chapters and commissioned reports. She is currently managing and researching an ARC Linkage project: Innovative partnerships for youth engagement in education and work. She is also a Chief Investigator of the Australian component of the Horizon 2020 research project developed with a consortium of nine European universities led by the University of Nottingham entitled 'Encouraging Lifelong Learning for an Inclusive & Vibrant Europe(ENLIVEN)'. Dr Anne Suryani is Research Fellow in the Centre for Vocational and Educational Policy. 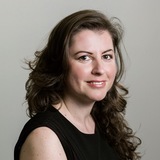 Anne holds a PhD in Educational Psychology from Monash University with a Mollie Holman Medal for the most outstanding doctoral research in education in 2014. She has strong quantitative skills and experience in large-scale survey design and analysis. Prior to joining MGSE, she worked with Australian Council for Educational Research for national projects funded by the Asian Development Bank supporting national assessment and curriculum reform in Indonesia. Before this position, she was involved in two Australian Research Council (ARC) funded longitudinal studies at Monash University investigating secondary student transitions and education pathways, and teacher motivation in Australian contexts. Her research interests include teacher motivation, teacher education and professional development, vocational education, assessment, and curriculum. Anne has presented her research at twenty-five national and international conferences, published two scholarly book chapters and five refereed journal articles. She has also received a number of awards, scholarships and grants from international institutions for her studies, research, publications, and professional developments. 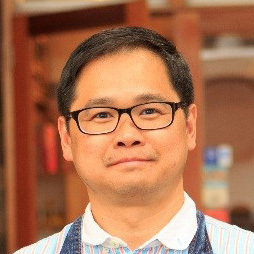 Dr Stanley Koh is Centre Coordinator of the Centre for Vocational and Educational Policy (CVEP) and the role includes the co-ordination and support of research, teaching and custom education programs within the Centre. Stanley joined CVEP from Victoria University (VU) where he facilitated learning pathways and articulation within VU and managed research and teaching programs at The Victoria Institute of Education, Diversity and Lifelong Learning. Stanley has a background in teaching and school leadership in Singapore and is a VIT registered teacher. He completed his undergraduate education and teacher training at the National Institute of Education, Nanyang Technological University in Singapore. Stanley later earned a Master of Educational Management (with Honours) from The University of Western Australia and a PhD in educational leadership from The University of Melbourne. His research interests include educational leadership (particularly school middle leadership), educational effectiveness and school improvement and high-performing school systems in Asia (particularly in what makes these school systems perform). Stanley is currently Associate Editor of the Routledge journal, International Journal of Inclusive Education; and was an Adjunct Fellow at College of Arts and Education, Victoria University (2015 to 2018). Veronica has more than 15 years of experience in conducting research projects related to vocational education and training, school education and adult and community education policy, planning and programs. 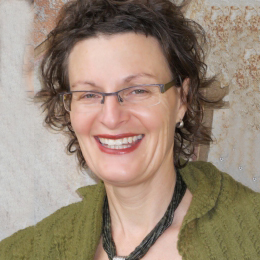 Her extensive research work has mainly focussed on equity in education across sectors and comparative studies, mainly commissioned by Australian national agencies such as the Australian National Training Authority (ANTA) and the National Centre for Vocational Education Research (NCVER), state education and training authorities and agencies with an international development focus such as AusAID and UNESCO-UNEVOC. 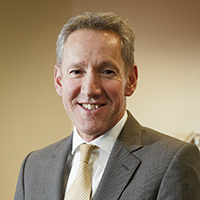 Hugh Guthrie has over 30 years experience as a practitioner and researcher in the vocational education and training sector. He started his career as a university academic teaching biology at Flinders University and then in 1981 became the Research Officer in the Education Unit at the Royal Melbourne Institute of Technology, and where he was, for a time, Head of their Curriculum Development Group. In 1987 he joined the National Centre for Vocational Education Research (NCVER) and worked there in a variety of positions until moving to Victoria University in late 2011. During his time at NCVER he undertook and managed a range of significant research and development projects. He also ran the National VET Research and Evaluation (NVETRE) program. He is a founding member of the Australian Vocational Education and Training Research Association and served as a member of its executive for a number of years. He received the Berwyn Clayton award for services to AVETRA in 2013. He has also been an executive member of HERDSA, AUSTAFE, AITD and VISTA. His principal research interests most recently have been VET teaching qualifications, the VET workforce and its professional development. 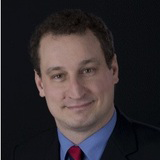 Prof. Dr. John P. Haisken-DeNew is Deputy Director Research at the Melbourne Institute of Applied Economic and Social Research in Melbourne, Australia. He has also been Adjunct Professor of the Department of Economics at McMaster University, Hamilton, Ontario, Canada since July 2008. His research interest focuses on education, health, competition policy, applied labor economics, applied micro econometrics, wage structure, migration, welfare and income inequality. He was previously a fully tenured W3 Professor of Economics and holder of the Chair “Economic Policy: Competition Theory and Policy” at the Ruhr University Bochum, Germany, from March 2009 to June 2013. He received his doctorate in economics at the University of Munich in 1995 under Prof. Dr. Klaus F. Zimmermann, with his dissertation on “Migration and Inter-Industry Wage Structure in Germany”. He received his MA in Economics at the University of Toronto, Canada in 1988 and his BA Honours in Economics at Carelton University, Ottawa, Canada. Irma Mooi-Reci is Senior Lecturer and Director of the Master of Social Policy at the School of Social and Political Sciences (SSPS) at the University of Melbourne, Australia. Previously she worked as Assistant Professor and Programme Director of the VU-Graduate School of Social Sciences (VU-GSSS) at the VU University in Amsterdam. Irma researches employment instability and its implications for individual careers, wage opportunities and public policy. Her research agenda encompasses three main areas: (1) the socioeconomic consequences of disruptive events such as unemployment, joblessness and casual employment; (2) the intergenerational consequences of joblessness; (3) application and innovation of quantitative methods for panel data. She has been a visiting scholar at the University of Madison Wisconsin in 2010, 2011 and 2012 and she is currently a visiting professor at Nuffield College, Oxford University. Irma has published in various journals including Social Science Research, European Sociological Review, British Journal of Industrial Relations and Social Forces.